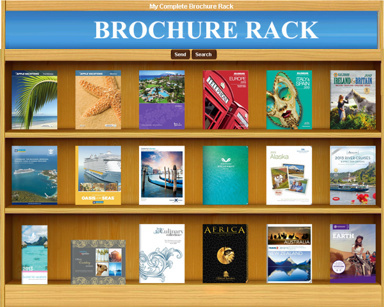 Over 500 travel brochures at your fingertips! Just click on the rack below for a better view. Use the search button at the top to find the brochures that meet your needs. You can browse them online, send them to yourself or even send them to friends!